Mammals, especially rodents, are the most common animal models used in research related to human health and disease. 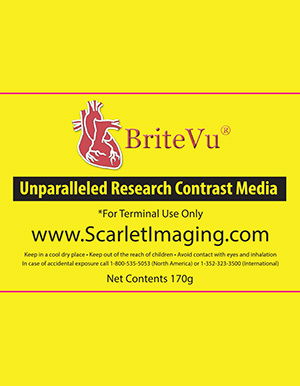 BriteVu is used to understand normal gross and microscopic vascular anatomy as well as a large variety of disease states such as cancer, diabetes, infections, atherosclerosis, aneurysms, stroke, genetic disorders and more. 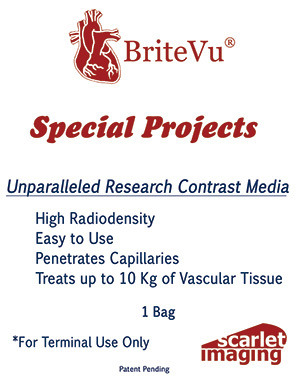 By seeing the blood vessels, one can study tissue growth, death and reaction to internal (genetic, hormonal, etc) and external (toxins, trauma, etc) factors - BriteVu helps make ‘seeing’ the otherwise hidden vessels possible. Rat head (whole body) perfused with BriteVu contrast media. Rat head was scanned at 35 µm resolution. 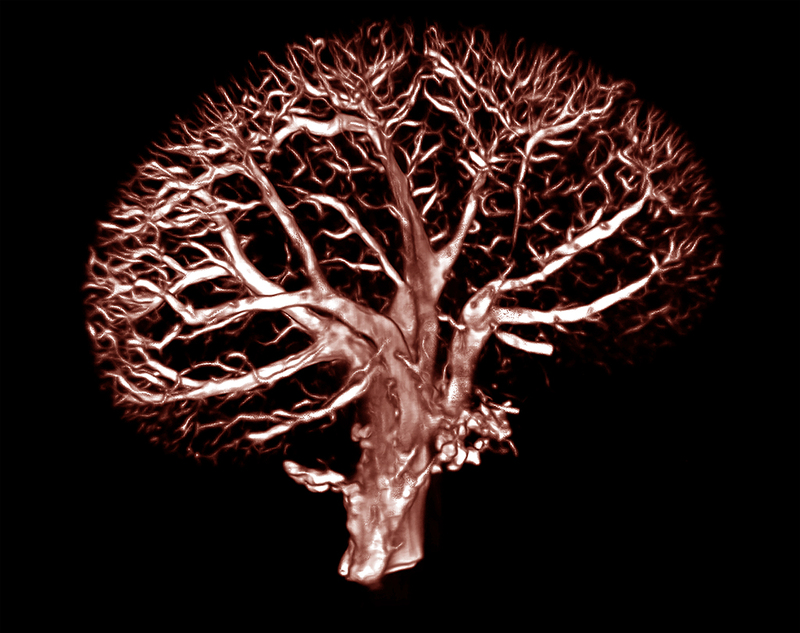 Courtesy of Stewart Yeoh from the Head Injury and Vessel Biomechanics Lab at the University of Utah. The nose is to the right and eye is approximately in the center of the image. 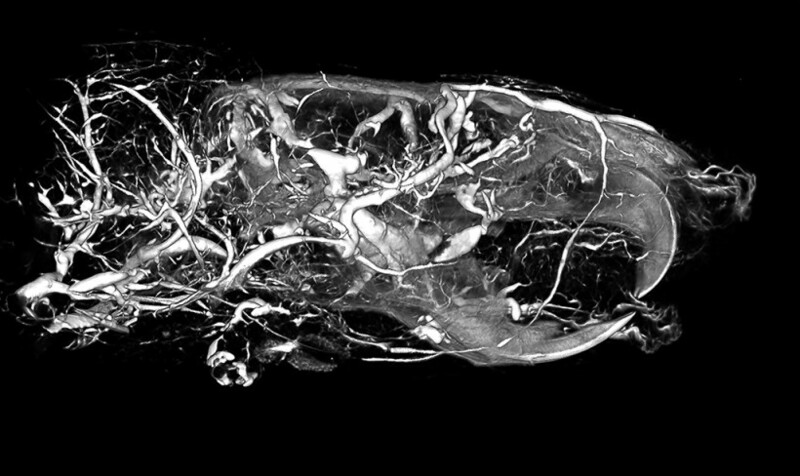 Rat head (whole body) perfused with BriteVu contrast media. The head was scanned at 70 µm resolution. This a lateral view with the rat’s nose to the right. 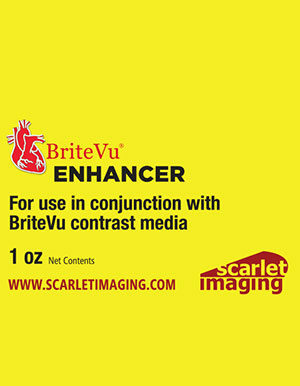 Mouse liver (whole body) perfused with BriteVu contrast agent. 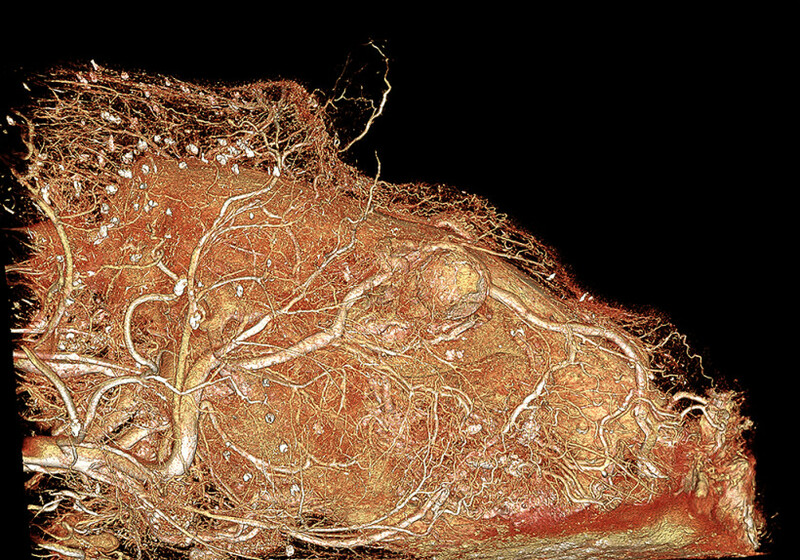 The liver was individually CT scanned at 35 µm resolution. 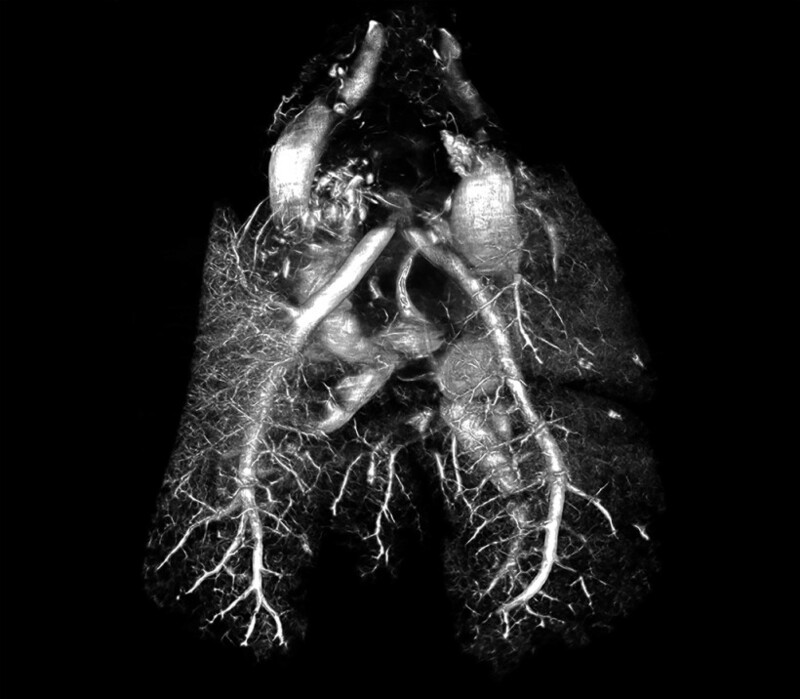 Mouse lungs (whole body) perfused with BriteVu contrast agent. 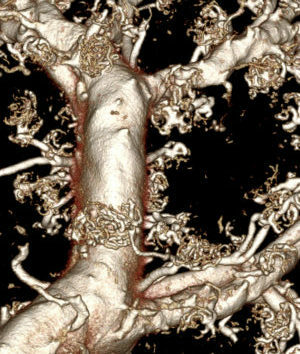 Lungs were individually CT scanned at 35 µm resolution. 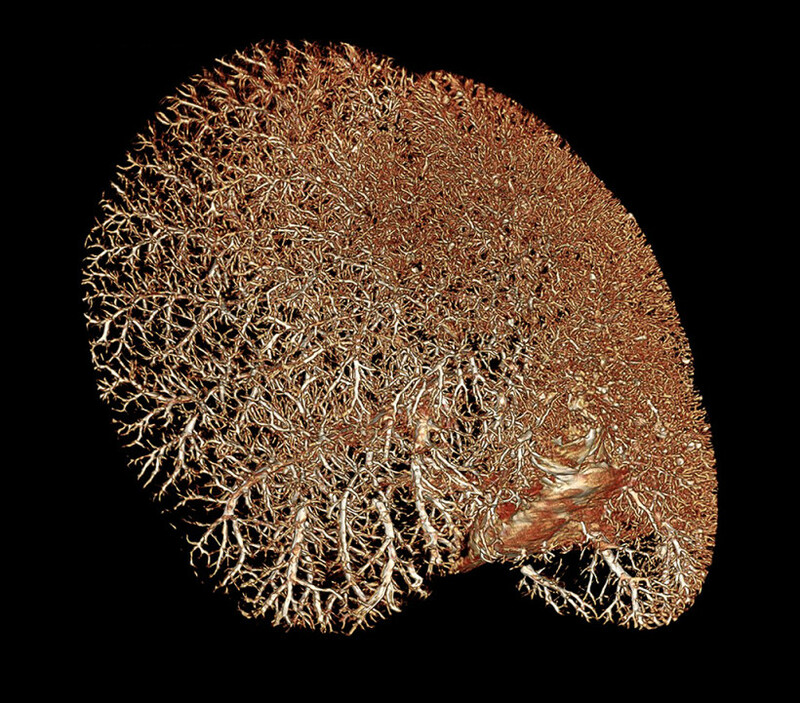 Rat kidney perfused with BriteVu and CT scanned at 70 µm. Better known and the ‘broccoli view’! Rat lungs perfused with BriteVu and CT scanned at 70 µm. 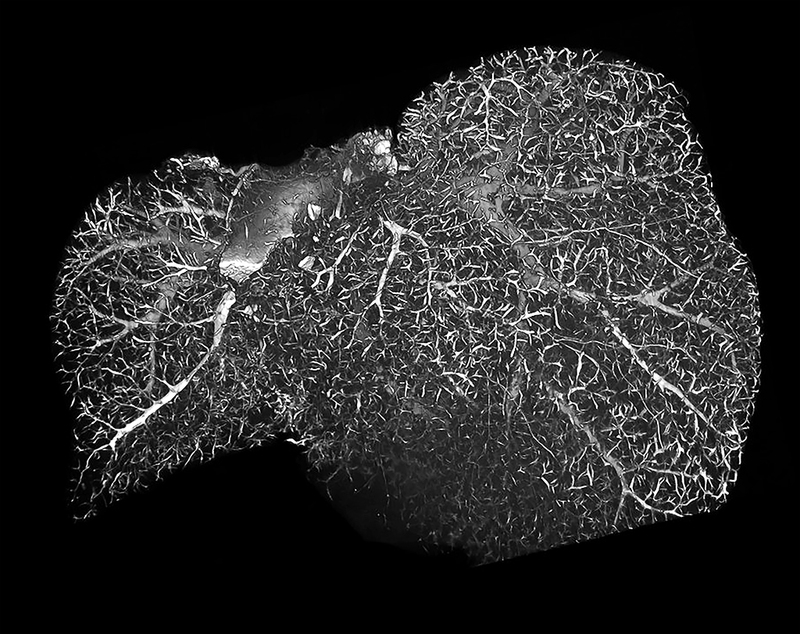 Rat liver perfused with BriteVu and CT scanned at 70 µm. 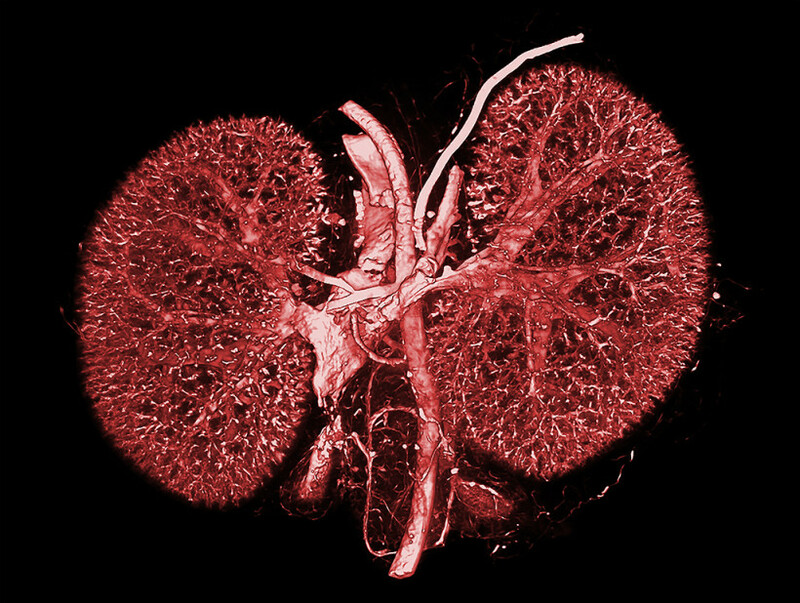 Mouse kidneys perfused with BriteVu and CT scanned at 35 µm. The adrenal glands (and their vasculature) are located at the bottom of the image next to the large veins. 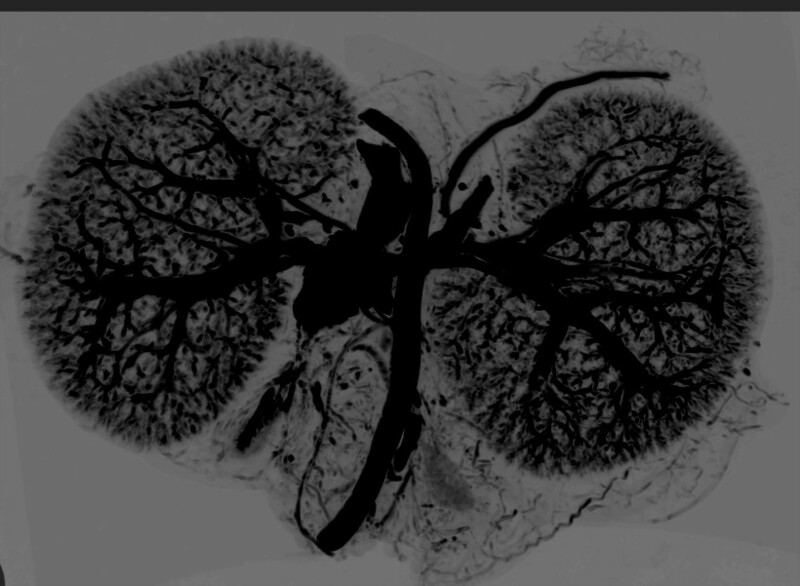 Mouse kidneys perfused with BriteVu. 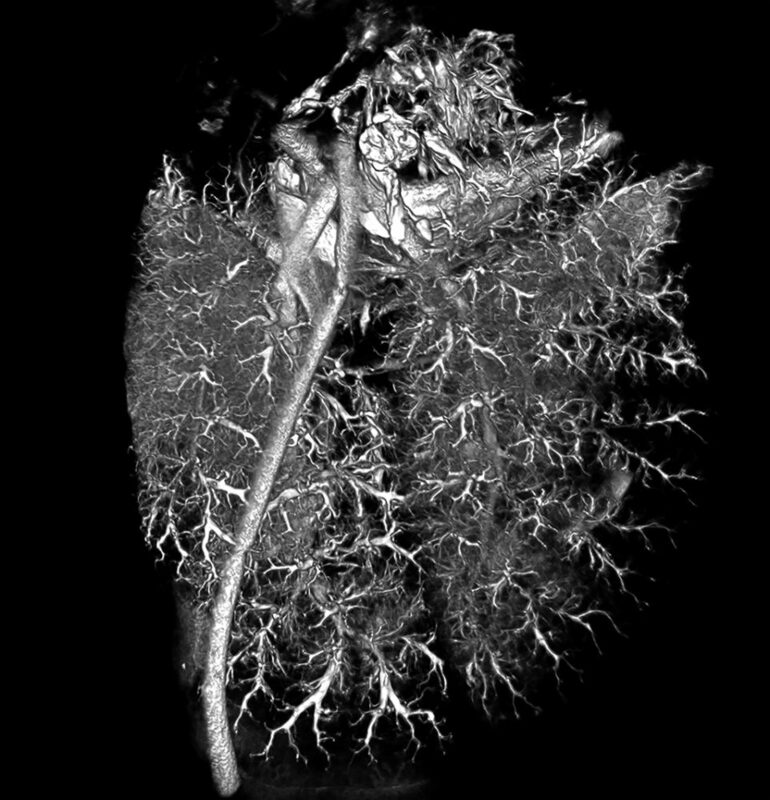 The tissues were CT scanned at 35 µm and the image was then inverted.